[hr]Descent myths are not uncommon in the mythos of antiquity. Early stories range from an Egyptian papyrus of the first century CE. describing the descent of the high priest of Memphis, Setne Khamuas (c. 1250 BCE) to the underworld (Duat), where he saw the judgment of souls and the different corridors of Hades; to Greek stories about Ishtar’s descent into Hades to rescue her dead husband Tammaz, Orpheus’ visit to the underworld to rescue Eurydice and Heracles’ task of bringing Cerberus, the watchdog of Hades, to the world of the living; to Jewish stories describing visits to Sheol such as in the Book of Enoch and the Book of the Secrets of Enoch. There are even myths in Hinduism and Buddhism such as those in the Marabharata and the Ramayana telling of a descent in order to free the damned. and Isaiah 35:10, which implies that when the Messiah comes, he will redeem those who have died so that they, too, can enter Paradise. 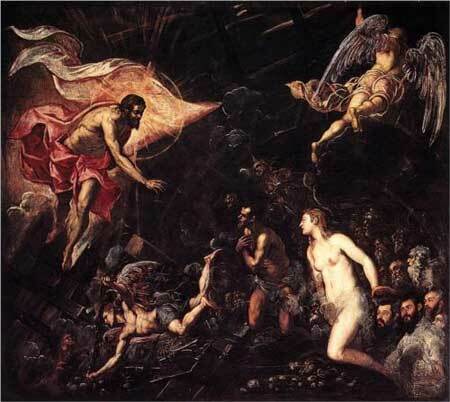 The earliest visit to the world of the dead in Jewish lore is found in the apocryphal Book of Enoch (1 Enoch), which dates in the mid-second century BCE, in which Enoch is taken on two guided tours of the earth and Sheol by the angels. During Enoch’s first journey, Enoch is taken to a place ‘without the heavenly firmament above it or earthly foundation under it or water. There was nothing on it – not even birds – but it was a desolate and terrible place’ (1 En 18:12). This place is to serve as a prison for the ‘spirits of the angels who have united themselves with women’ (1 En 19:1). During his second journey, Enoch learns of the places where the “spirits of the dead” will be kept until the day of judgment (1 En 22:9-11) The angel, Rufael , who is guiding Enoch explains that this is to keep the souls of the righteous separate from the wicked. Four places are distinguished in accordance with the ‘four beautiful corners’ of 1 En 22:2: a) where the righteous are kept (22:9) b) where sinners who were not punished on earth are kept (22:10-11) c) where ‘those who make the suit (and) those who disclose concerning destruction’ are kept (22:12) d) where sinners whose souls ‘will not be killed on the day of judgment, but will not rise’ are kept (22:13). This passage gives an early account not only of a descent into the underworld, but also an early picture of how some apocalyptic traditions viewed the place where souls of the dead reside. Already, there is a tradition in which the souls of the righteous and the souls of the wicked are separated, however the details of the afterlife are brief. In contrast, later apocalypses such as the Apocalypse of Peter (dated to around the time of the Bar Kokhba revolt in 132-135) show a much more developed idea of the underworld where sinners are violently punished for their wrongdoings. The text presents a prophecy by Jesus to Peter about the resurrection, the day of judgment, and a long, detailed description of the different types of punishment designated for each of twenty-one types of sinners, who will remain in their assigned punishments until the righteous intercede for them through prayer. Only then will they be able to join the elect in Christ’s eternal kingdom. 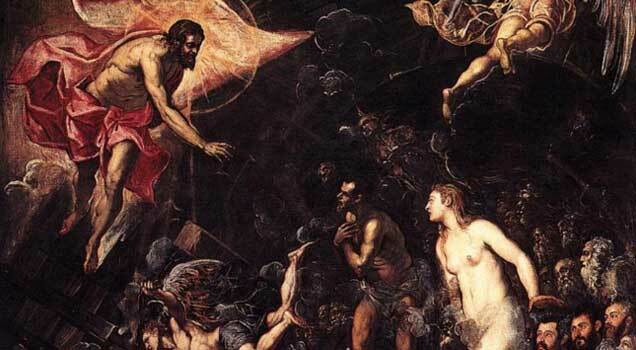 The idea of Christ’s descent into hell is a predominant teaching in modern church theology. However, the concept of Christ’s descent to the dead is not found in the teachings of the Gospels, and probably evolved as a later teaching. The principle of the doctrine is that through Christ’s descent, death and the Underworld have been made powerless. Christ had transferred those souls, either all imprisoned there or only those who believed during his preaching to them depending upon the source referenced, to Paradise. 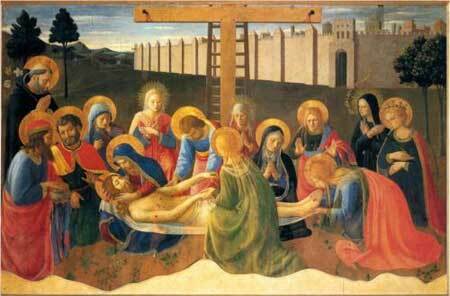 He suffered under Pontius Pilate, was crucified, died, and was buried. He descended to the dead. On the third day he rose again. 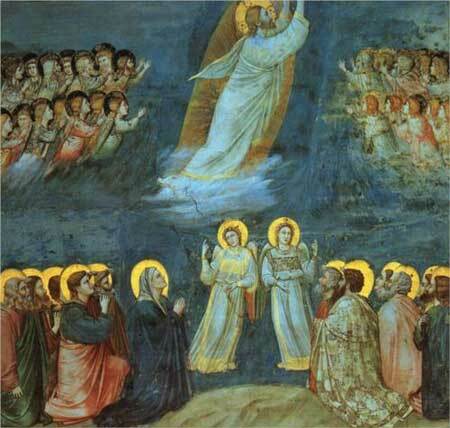 He ascended into heaven, and is seated at the right of the Father. He will come again to judge the living and the dead. that Christ preaches to either all or some of the dead. These variations were also combined, with the most usual combination being the first and second. Yet, this descent into hell has very few references within the New Testament scripture. Most of our theology about a descent comes from later writings by Church Fathers and non-canonical scriptures. There have been many debates about what Christ preaching “to the spirits now in prison, who once were disobedient” (1 Pet 3:19) refers to. In the context of the entire passage (3:18-22), many biblical scholars interpret it as a reference to the Fall of the Watchers story in 1 Enoch; however, it could be a reference to the souls of a specific group of people or to people in general who lived at the time of Noah. Where the spirits are imprisoned and when Christ preached to them is also addressed. 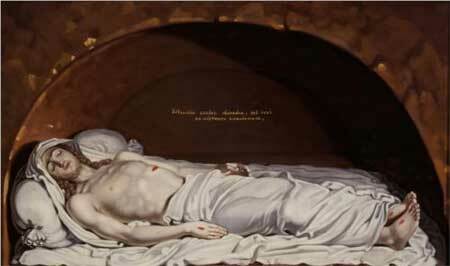 The passage seems to be in connection with Jesus’ death; however, it does not designate whether the preaching took place during the time between Jesus’ death on the cross and the resurrection or during or after the resurrection. If the spirits in prison were in the underworld (in reference to 2 Pet. 2:4 and Jude 6), it is most likely that he preached to them while he was dead. However, if the spirits were imprisoned somewhere else (in reference to the Book of the Secrets of Enoch, which has the fallen angels/watchers imprisoned in either the second heaven or the fifth heaven) the preaching most likely occurred during Christ’s ascension. Finally, there may be a connection with the Descent in 3:19 with the baptism presented in 3:21-22, in that “the resurrection of Christ gives Baptism power to rescue the Christian that he may have eternal life with God.” This connection of Baptism with the Descent becomes more developed in later Descent traditions such as the Odes of Solomon. While it is possible that the term ‘spirits in prison’ refers to the fallen angels, it may also be a reference to the wicked men of Noah’s generation. In this interpretation, Christ proclaimed his victory over sin and death to those in Sheol, thus referring to the Descensus Ad Inferos interpretation. as the Descent of the Spirit, in which the previously exalted Christ bestowed gifts upon his church. Matthew – Matthew 27:52-53 may be related to the Descent myth, in that Jesus released the OT saints from the realm of the dead. The passage, however, makes no explicit reference to the activities of Jesus during his death, and is more concerned with expressing the eschatological significance of Jesus’s death, which overcomes the power of death. Acts – Acts 2:24-32 (cf. 13:34-37) states of the resurrection: ‘But God raised him up, releasing him from the throes of death, because it was impossible for him to be held by it’ (Acts 2:24). Allusions to Ps 16:8-11 and 116:3 are used to interpret the passage as Christ being delivered from the power of death, as well as from the physical corruption of death. Hebrews – There is a possible reference to the Descent in the Epistle to the Hebrews. Heb 13:20 describes how God brought Christ “up from the dead.” Hebrews also describes the symbolism of Christ’s sacrificial death. The Epistle mentions that Christ became the “source of eternal salvation for all who obey him,” (5:9) and that after Christ’s death “the holy Spirit shows that the way into the sanctuary had not yet been revealed while the outer tabernacle still had its place.” (9:8) This could be a reference to Christ’s Descent to free all those who had died but could not enter Paradise until He showed them the way. Revelation – Finally, Revelation 1:18 attributes Christ as saying, “Once I was dead, but now I am alive forever and ever. I hold the keys to death and the netherworld.” This passage presupposes that the gates to the netherworld have for the first time released a man from the realm of the dead, and emphasizes Christ’s unlimited power over death and the underworld as represented by his possession of the keys.